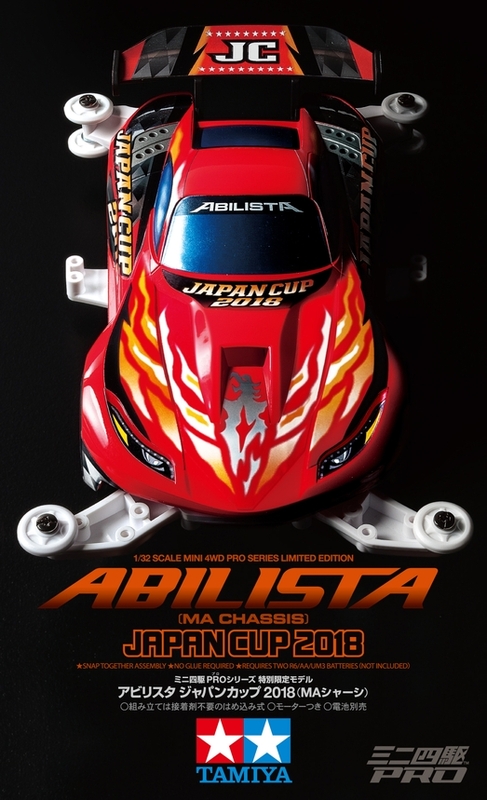 The Abilista Japan Cup 2018 is a special color version MA Chassis racing kit. Its design represents a traditional super sports car with a large displacement engine at the front. 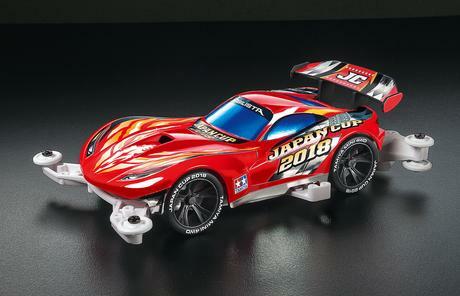 The body comes in red color to represent a hot fighting spirit, a graphic with a firebird on the bonnet as a motif, a checkered flag pattern extending from the rear of the cockpit to the rear wing, and a Japan cup logo. 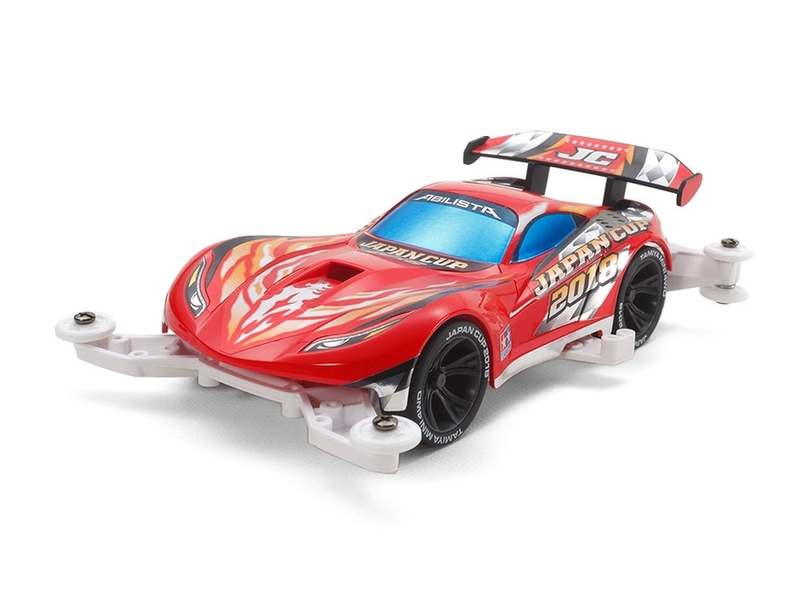 The MA (Midship AERO) Chassis has its motor in the center and features a design which focuses upon achieving outstanding aerodynamic performance. 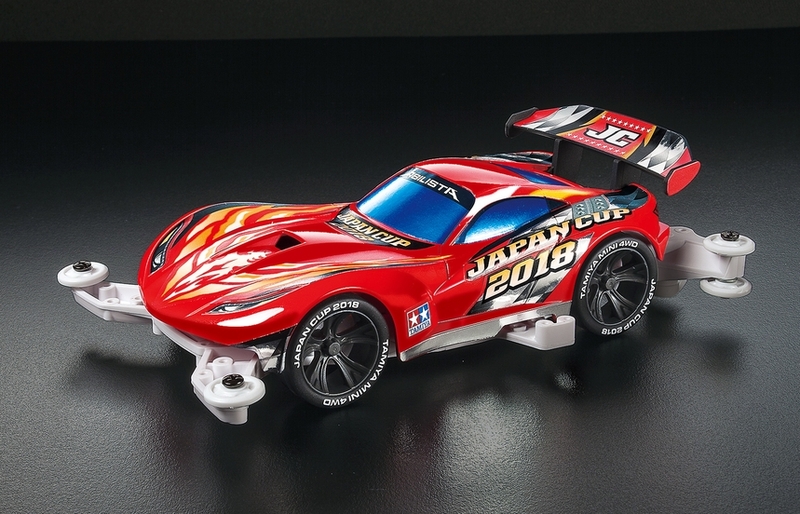 It has six individual low-friction rollers, a rear skid bar and other speedy features developed thanks to years of design experience. The single-piece monocoque frame also guarantees that assembling and keeping the car well-maintained is a task that can be performed by beginners and veteran racers alike. 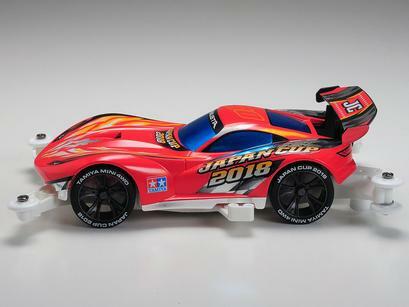 Here, the MA chassis features a 4:1 gear ratio.